Ipsy March 2017 Glam Bag Review! This month’s theme is “Très Jolie” so the design of the glam bag is both chic and feminine. 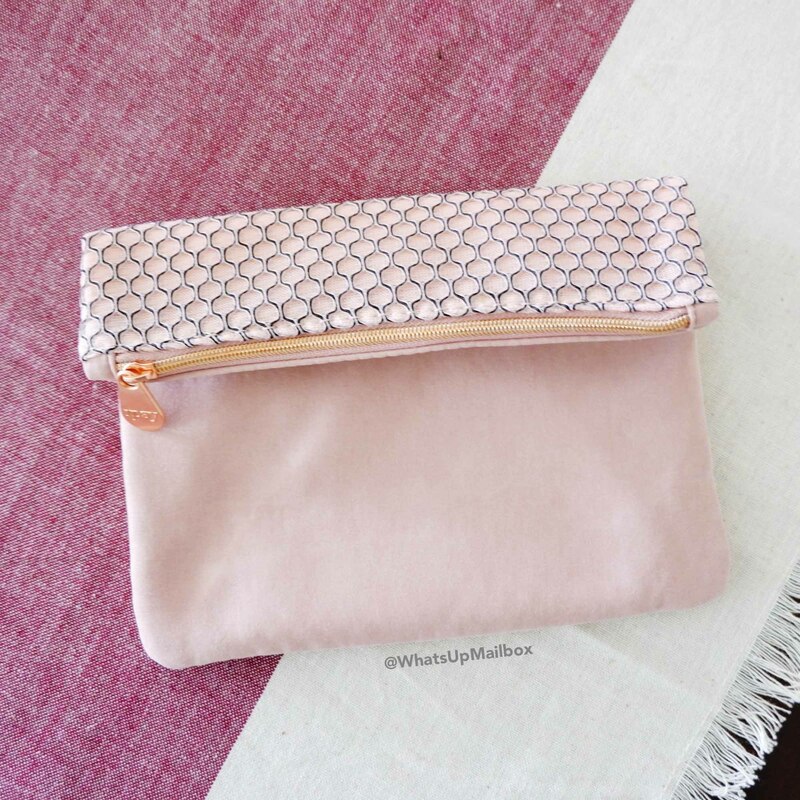 I actually love this, it definitely can double as a pretty clutch and not just a makeup bag! 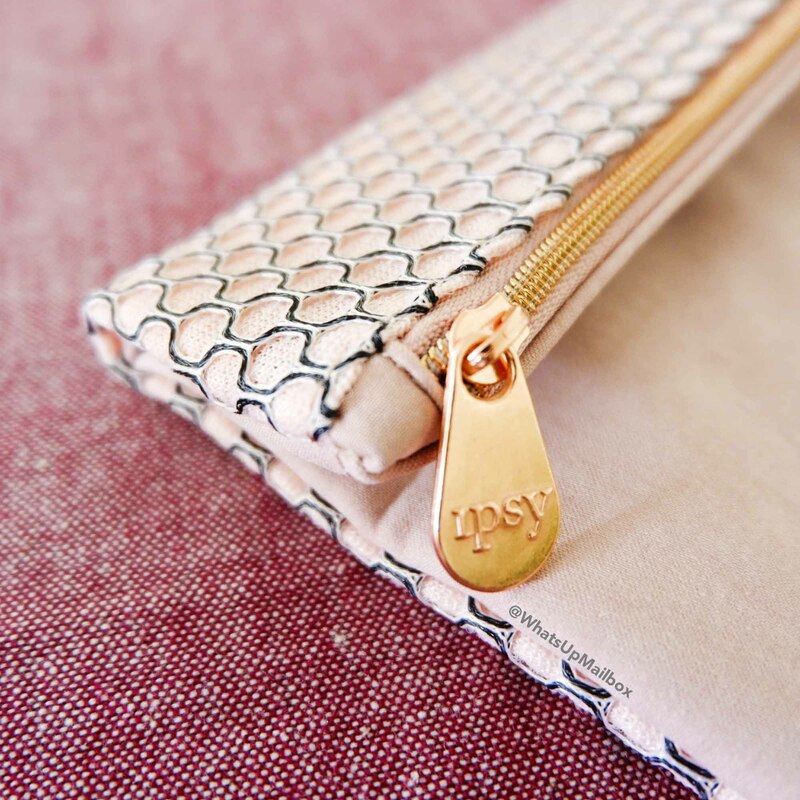 A closer look at the bag shows the zipper pull with the Ipsy branding, as well as the raised design that’s on one side of the bag. 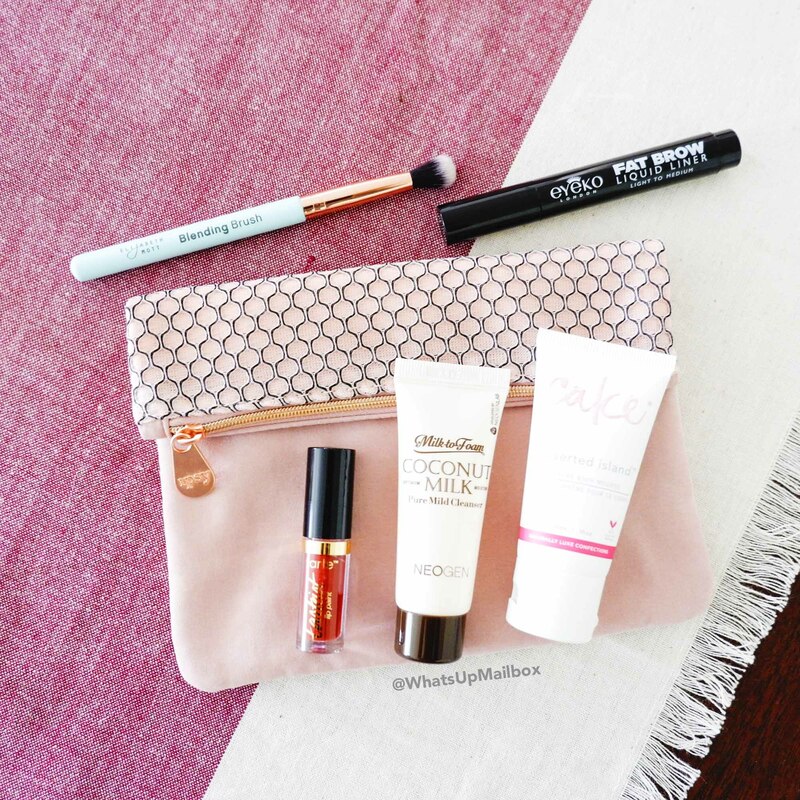 I always feel extra happy when I see a beauty tool inside my Ipsy bags! And a blending brush is definitely one I can use. 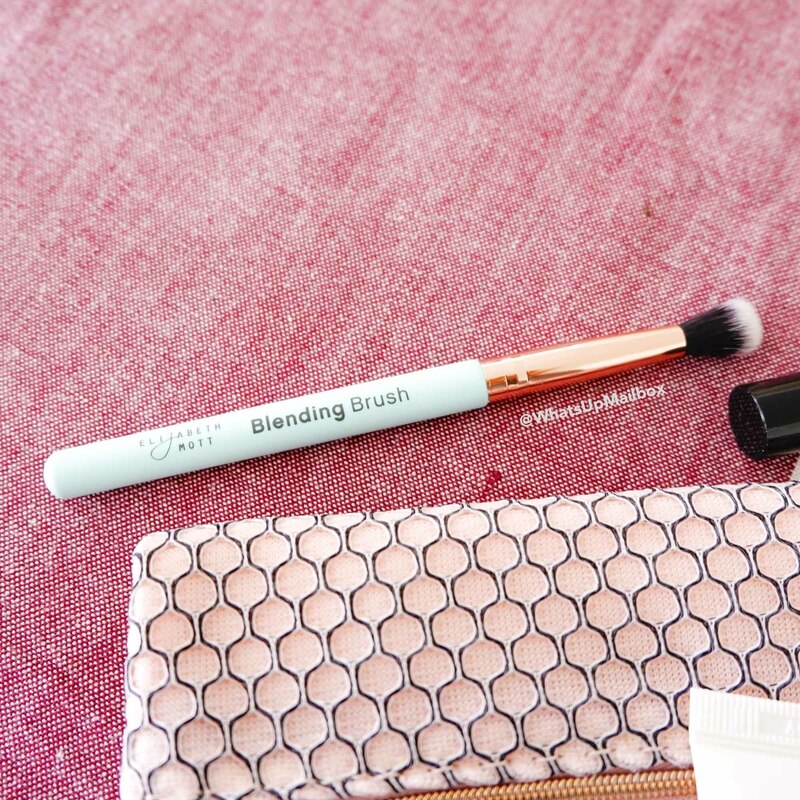 The synthetic bristles are not only cruelty-free, but they’re super durable. It’ll be perfect for applying and smudging cream shadows, since they won’t absorb too much product. A full sized brow product, yessss! I always always have to do my brows since I’m not one of those who are blessed with full brows (I see you Cara Delevingne), so a stash of brow products are a must in my makeup collection. To be honest, I’ve never used liquid liners before for my brows, so this will be a first. But I use pencils a lot, so why not. Plus it doubles as an eyeliner too, score! I’m a big fan of Tarte cosmetics so this was another happy find! 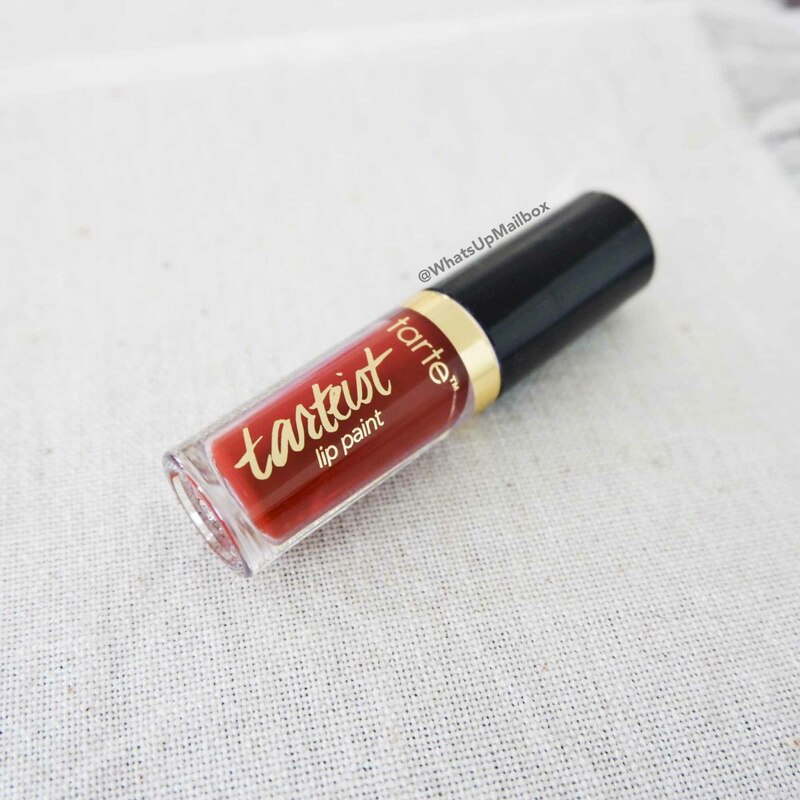 This liquid lipstick dries quick, is full coverage, and also transfer-proof. The color Vibin is described as a wine color and it’s a medium dark red color that will surely vamp up your LBD. I can’t wait to try this on and compare with my Kat Von D Everlasting Liquid Lipsticks. If the staying power is just as potent, I might have to start a new lipstick collection! I like that this cleanser is mild and it’s formulated without harmful chemicals so my sensitive skin can rejoice. It’s also Made in Korea, so for all you K-beauty fans out there, this just might be one cleanser you should try! A whipped body lotion with extreme hydrators that will leave your skin lightly scented and highly moisturized, yes please! And the scent is also lovely, it’s a mix of Tahitian vanilla and coconut. Plus this product is Made in Canada and is Cruelty-free, Vegan, Natural ingredient-driven, Gluten-free, GMO-free, Paraben-free and Phthalate-free. 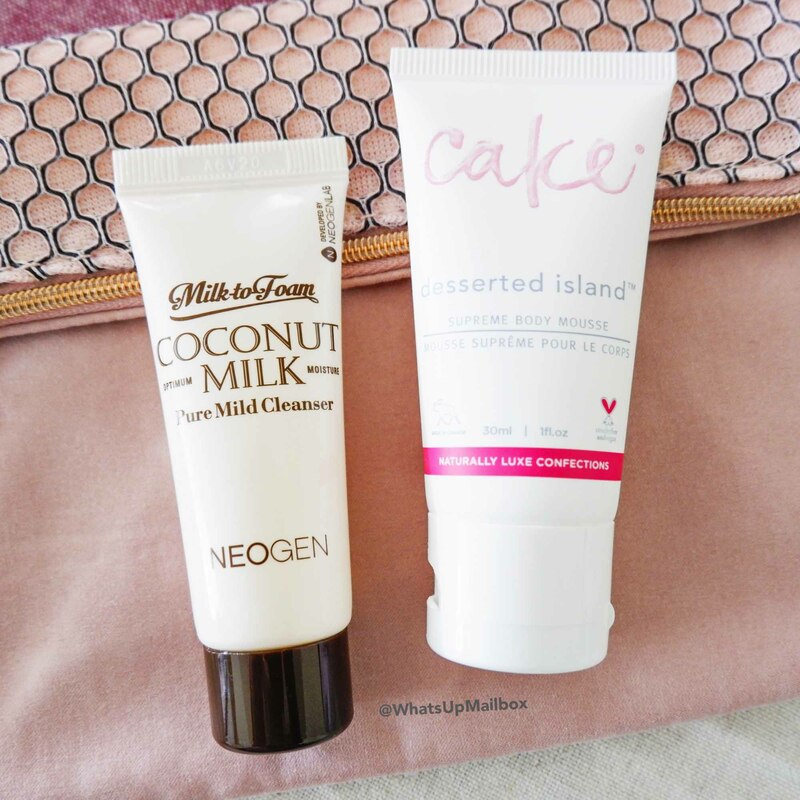 My Thoughts: I LOVED this month’s glam bag and items. Not only did I get a blending brush, but also a full sized brow product and a Tarte liquid lipstick… I can’t help but feel like I hit the jackpot! 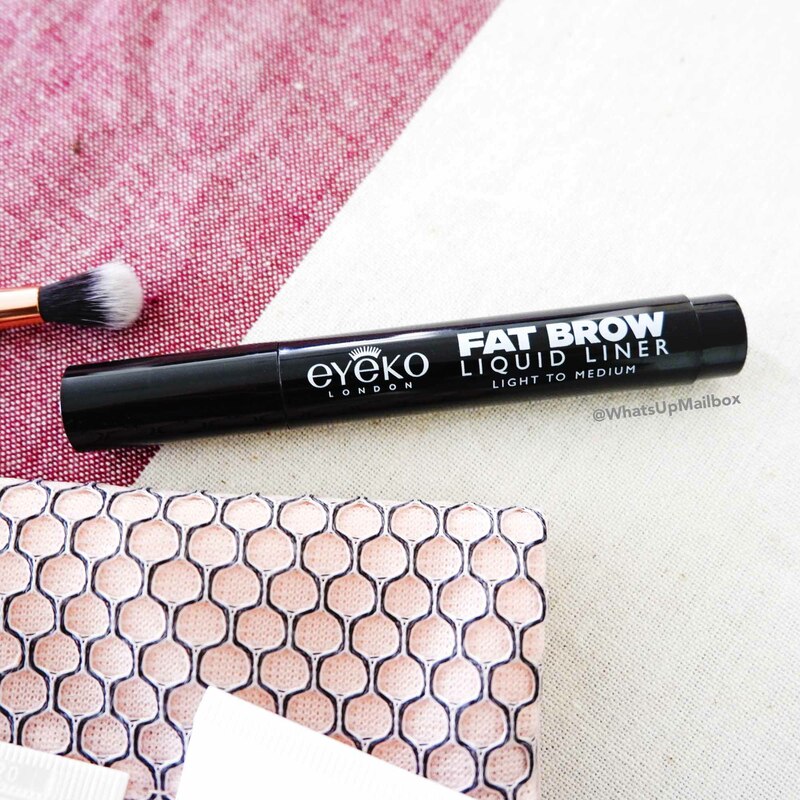 The Eyeko brow liner itself is worth $22, double the cost of the subscription, so that was already a great deal! I know that every month there are a number of glam bag varieties sent out, but what I found helpful is to rate your products everytime and make sure you update your profile as your needs change everytime. 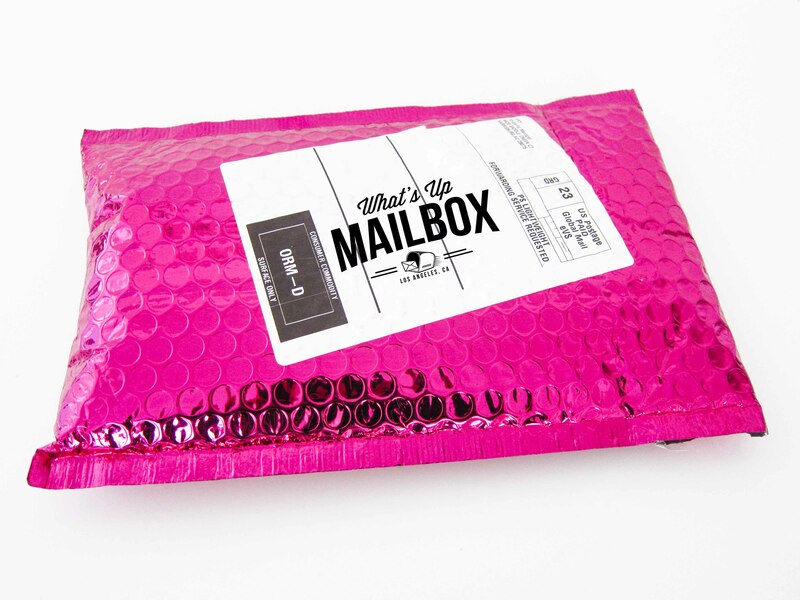 This will help in getting Ipsy to match the products they send with your preference. When I do this, I find that I get more items that match my needs versus when I don’t do it. And this month was a total hit! I even love the glam bag design. Now I’m off to rating these products and hope that next month will be another great glam bag!